This page provides all the information needed to apply for a job in the library, as well as training materials for supervisors and student assistants. Pay periods start on the first working day of the month and go to the last working day of the month. Pay day is the 12th of each month and reflects the previous month's hours worked. Please fill out and return the form below with the needed documentation to Employment Services. Look through student applications housed in the Circulation Department. Setup an interview and screen applicant. First day of work, the student needs to obtain a work permit from the Financial Aid Office, ADM 101A. If they have worked on campus before, they will just need to fill out a new work permit. The Student Budget Librarian signs the work permit. The student will then return the signed work permit to Financial Aid, who in turn will provide a signed copy to the student. The student will give the copy to their supervisor, who in turn will give a copy to the Student Budget Librarian. If they have not worked on campus before, they will need to fill out an employment packet. The completed packet will need to be returned to Employment Services, ADM 160. Employment Services will ask to see a picture ID and a social security card or birth certificate. Employment Services will give the work permit to the student to take back to Financial Aid, ADM 101A, who in turn will provide a signed copy to the student. Use this checklist when students are beginning/ending employment. The supervisor keeps this checklist, but ensures that all parties listed have completed their tasks (opens a new tab). This document outlines the expectations of supervisors (opens a new tab). An evaluation must be done for each student assistant once per each fall and spring semester. Evaluations should be filed in the student's personnel file (opens a new tab). After a new student employee has completed all the required training, send this form to the Student Budget Librarian. Mandatory training should be completed before the first time sheet is finalized (opens a new tab). This report is due to your supervising librarian at the end of each fall and spring semester. The librarians will forward to the Student Budget Librarian in May (opens a new tab). Answers to the quizzes can be found at K:\Library\Administrative\Personnel\Training Materials\Student. The training materials can be found on the Student Employment Training page. Students can work 20 hours per week, not to exceed 6 hours in any given day, during fall and spring semesters as long as they are enrolled in at least 6 hours of classes during the semester in which they are working. Students can work 29 hours per week, not to exceed 7 hours in any given day, during intersessions and summer blocks as long as they are enrolled in at least 3 hours of classes during the applicable intersession/summer block in which they are working. 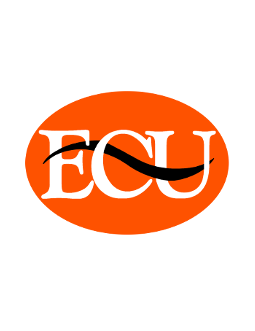 To work days in December after commencement, students must have been enrolled in a fall course at ECU AND provide proof of spring pre-enrollment. A fall work permit will be required. To work days in May after commencement, students must have been enrolled in a spring course at ECU AND provide proof of pre-May intersession and/or summer block enrollment. A spring work permit will be required. All students must have a valid work permit BEFORE working. Undergraduate students, 6 hours in fall or spring or 3 for summer. Graduate students, 4 hours in fall or spring or 3 for summer. Fall work permits begin August 1st and extend to December 31st. Returning students DO NOT need to get a spring work permit. The fall permit will be extended thru May. Spring work permits begin January 1st and extend to May 31st. Only new students starting on or after January 1st will need to get a spring work permit. The spring permit will be extended thru May. Summer work permits begin June 1st and extend to July 31st.